As important as Location, Location, Location is to Real Estate, so is the importance of Exposure, Exposure, Exposure to Bloggers. Some Bloggers offer their subscribers, readers, and visitors the ability to "share" their content with others via Twitter or Facebook. 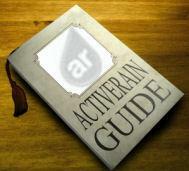 ActiveRain has the ReBlog Option, just like Wordpress and Blogger are doing now, but that only works for other AR members. Here's a way to help get your "Voice Heard" and your "Posts Seen" on two of the other Largest Social Networks in the World, and here's how others can help you do it. "Tweets" and "ReTweets" are quite popular as is "Sharing on FaceBook." I've just discovered a way that you can now do both. I think you're going to like this. It's simple. Just create and add a "Tweet" button, or a custom "Share" graphic, then create a link to it just like you would any other photo or image. You can even use text with a hyper-link. Here's the secret: you just need to replace the "BOLD" URL below with your page that you want shared. You will need to keep the underlined portion of the code below for each button to work. Now some of you may be thinking, why not just use the "Sharethis" or "AddThis" widget? Well you still can, and they do have more options, but the millions of Social Networking consumers out there are probably more use to seeing the Tweet, ReTweet, and Share on FaceBook buttons. Familairity may play more of a role here than we think. Not to mention, using this method is quick, easy, and only "one click" away from accomplishing the readers goal. To Share! So starting right now, you can begin letting the 100 million members that logon to Facebook each day, and the 14,590,000 Twitter accounts (guesstimation) share your great content with others on Facebook and Twitter. Word of Caution: This will not work for "Members Only" and "Associates Only" posts on AR. It will work on any "Public" Blog, Post, or Website. Taking the idea one step further. If you have an AR Outside Blog, make sure that the Link you provide to your "Tweet" and "Share on FaceBook" buttons go to the post on your AR Outside Blog and not to your Internal AR Blog. This will help increase exposure and traffic to your Outside Blogs. All your "outbound" links should always go to your Outside Blog posts. Getting SEO and traffic to your Blogs is a great thing, but letting others share, and making it easy for them may be just as powerful. Social Media Buttons and Icons - Is Someone Pushing Your Buttons?